Stuart Woollard is Managing Partner of Organizational Maturity Services LLP and co-founder and Council member at the Maturity Institute (MI). Stuart is leading pioneering work with the investment community to integrate the measurement of corporate culture, governance and human capital management into company valuation, investment decision-making, and with engagement and stewardship activities. In corporate contexts, Stuart advises business leaders on improving value and managing risk through a better whole system diagnosis of organisational health using MI global standards. He has published research on human capital in international mergers and acquisitions and on the management of people in global contexts. 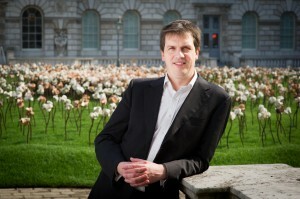 Stuart was appointed an Innovation Fellow at King’s College London in 2010 and set up King’s and Cornell University executive programs on global human governance. He was part of the international leadership team at E*TRADE Financial and UK Managing Director, and previously led advisory businesses, both independently and at Arthur Andersen. Stuart is a regular conference speaker and teaches on MBA and graduate programmes. He studied Economics and Politics at the University of Warwick.